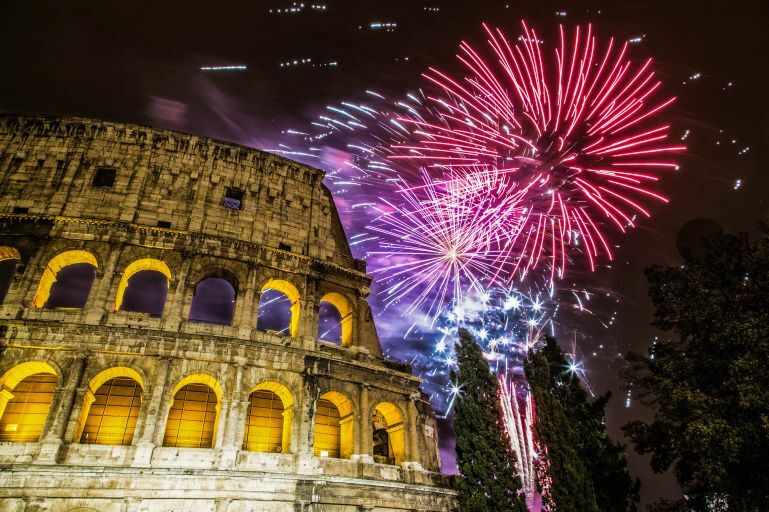 CapodannoRoma.Org is the most complete guide to celebrate New Year’s eve 2019 in Rome. Informations about events and exclusive parties in Mansions, Castles, Clubs and Restaurants in Rome. Our parties could be economic, open bar, romantic or amusing shows of cabaret. It’s not impoprtant if you’re are single, engaged, with your family and children or friends, we offer you so many indications for lodgings for New Year’s eve Rome 2020, practical and reliable solutions. Like every year, most of the people wait the last second to choose what to do for New Year’s eve Rome 2019. But remember, early bird gets the worm… Don’t be imprepared, get the latest news on parties. On capodannoroma.org you can find all the indications to live a 31 December beetween luxury, exclusive locations to spend an incredible night without any limits and give a kiss to the new year. The information for the events and the best parties for the next New Year’s eve Rome 2019. We propose a selection of the best parties in the locations more exlusive and fashion club. But the variety of our roster includes also exclusive Mansions and historical Castles. But we’re in Italy and our wonderful food tradition could be tasted in restaurants and agritourism in the beatiful landscape around Rome. Don’t worry about budget, we have solution for any request. New Year’s eve in Rome has a magic scenery, that offers a mix of fun with a little bit of madness of a mixed bag. For more than 15 years, CapodannoRoma’s Guide has been used by users who choose our service every year to buy tickets and pre-sales for hotels and restaurants on New Year’s Eve. The most popular destinations for young people for New Year’s Eve in Rome are clubs, which compete to grab the most special guest and the most internationally acclaimed DJs. For almost 20 years our team has been working for New Year Rome 365 days a year in the field of events promotion and throughout the provincial territory. How to choose the right party ? Our booking service gives you the opportunity to get constantly updated on the best New Year’s parties and celebrations in Rome. 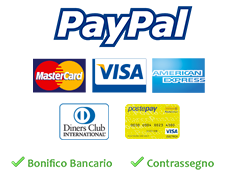 You could choose whether to buy them directly with the guarantee of secure payments with PayPal, or comfortably in our offices or even better, directly at your home. As Italians, we are particular and sometimes even the best New Year’s party could generate some doubts…So, here we are ! Capodanno Roma gives the chance to built a New Year’s Eve around your needs. A real customed New Year’s Eve. What you’re waiting for ? Make your choice with dozens of locations, artists, singers and much more. Have you decided what you’re going to do on New Year’s Eve ? Catering and banquets are part of the New Year’s Eve 2020 service, which every year exports new moods and solutions on how to celebrate New Year’s Eve in Rome. The month of December is a continuous succession of novelties, this is why during the last days of the year our site offers daily new events and dinners, which sometimes you no sooner to see that it’s already sold out..
Do not miss your chance to give yourself a New Year’s Eve in Rome as you have always dreamed of, contact us at our customer service for any information on the New Year’s Eve parties: info@capodannoroma.org or +39.0645433487. New Year’s Eve in Rome 2020 is getting ready to be one of the most important and followed events of the year. As always, the Eternal City will propose a series of initiatives that will satisfy all needs and expectations. As usual, disco parties will play the lion’s share: Eur’s amusement park, the many clubs in the historic center, the locations of northern Rome. For those who want to spend the last day of year with excellent menus that mix the tradition of Italian cuisine with new trends, the choice is also varied and heterogeneous. From the typical restaurants in the center of Rome to the hotels and historical mansions. Finally, those who want to enjoy live music can participate for free downtown, in the traditional Big concert of Rome. Looking for festivals, events and outside concerts New year’s Eve in Rome? Like every year, by constantly monitoring our website you can be informed in advance. You will then be informed of the details of all the initiatives planned for the festivities in the squares of the city of Rome. Maxi concerts, musicians rather than street artists proposed by the City of Rome to celebrate New Year’s Eve in Rome. From the Fori Imperiali, to the Colosseum as well as Circus Maximus and the Campidoglio, the background of the Capital of Italy is ready to be immortalized. Because it is not an evening like any other the type of entertainment for discos New Year’s Eve can really make a difference. Live Music: Ideal for those who love to listen to music. Live entertainment, different proposals also with Piano Bar and Karaoke in Rome’s new year’s restaurants. Dj & Dance Music: Could Be House, Commercial or Revival, Electronic or Salsera music. The DJ’s set is king in 100% New Year’s Eve parties. Take a look at our disco page. Cabaret artist: A must for those who’s looking for a funny New Year’s Eve 2018 that will make you begin the year with a smile. Tell us your target, we will recommend you the new year’s eve party in Rome for you. Whether you are 20 years old, 30 years old, 40 years old or more we’ll be pleased to show the best New Year’s Eve events in Rome 2019, selecting them according to the most appropriate target. What is your favourite zone in Rome to celebrate New Year’s Eve in Rome ? Since 20 years with various stores, we have been organizing and promoting New Year’s Eve events in Rome 2019 on various points in the city. At the Center the proposals therefore vary between Colosseum, Fori Imperiali, Aventino, Trastevere, Via Veneto and Piazza della Repubblica. In the Southside of Rome we offer a selection of events between Eur, Testaccio and Ostiense. Some proposals for New Year’s Eve in the northside of Rome with locations between Ponte Milvio, Tor di Quinto and the Olympic Stadium. The very best of New Year’s events in Rome 2020. Available 24 hours a day with delivery of New Year’s eve holidays. Luxury or cheap: wha’s your favourite New Year’s Eve ? If the selection of New Year’s events Rome 2020 must be within a budget we offer you the selection of parties divided by price ranges. From € 10 to € 40 it is possible to find a disco entrance: 1 drink or unlimited drinks. From € 40 to € 80 you can find mansions and disco: entry formula, grand buffet and toast. Between € 80 to € 130 you can find exclusive locations: served gala dinner and party until dawn. From € 130 onwards, the formule can also provide accommodation. What is your favourite kind of New Year’s Eve party in Rome ? So many possibilities to celebrate the night of December the 31st. From the traditional ball with gala dinner served at the table. At the grand buffet on New Year’s Eve Rome with a less formal ball and low costs. Why choose us? Because we have the right solution for you. If you prefer a party after dinner, the panorama of New Year’s Eve discotheques Rome 2020 is even wider and more varied. From the entrances at 11.00 p.m to those after the midnight fires. Proposals come from every corner of the city, you could book tables in private rooms and celebrate until dawn. For those who love No Limits situations we propose Oper Bar Parties. 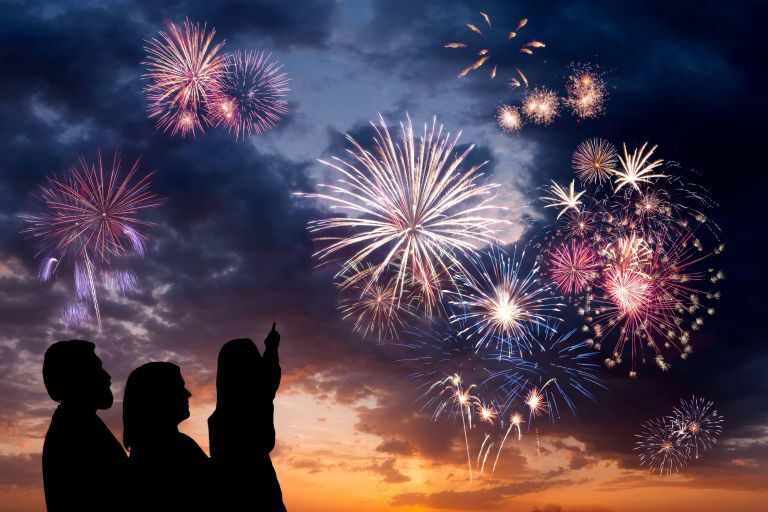 The varied panorama of events for the New Year’s Eve 2019 has a variety of ideas really for all shapes and sizes. If you are looking for quieter solutions, then we will be able to direct you towards solutions in the appropriate contexts and the right target. Whether it is a restaurant, a hotel or a mansion, we will be able to show you the best way to make you spend “Arabian Nights“. Why hurry up? Because the best parties are with reservation only and with a limited number. Contact us to find out about availability, programs and costs. The management at the events and parties New Year’s Eve 2020 offers the selection of the best events and parties in Rome. From the coolest Disco, passing through exclusive location, regal castles but also tasty gourmet solutions in restaurants and farms for all budgets available. The most popular destinations for young people for the Roman New Year are definitely discos, which compete to grab the most important guest and worldwide acclaimed DJs.